By Brian Whitley – Meteorologist Weather Routing Inc.
LARGE, strong gales and storms are quite common within the Gulf of Alaska during the wintertime months, occurring every 2-3 days, often moving along or north of 40N from near the Dateline NE0’ward into the Gulf where they will often slow and weaken as they turn northward into Mainland Alaska, or continue ne’ward into the Alaska/British Columbia coasts. Occasionally, secondary lows will form along trailing fronts which then intensify into gales themselves as they move northeast to eastward into British Columbia or the Pacific Northwest (Washington/Oregon). Within the Gulf of Alaska itself, low pressure is almost always found, especially at this time of year as maturing gales will often stall and slowly dissipate. Following these gales/fronts will be transitory ridges of high pressure which are usually extensions of a larger semi-permanent high farther south, which occasionally bring brief periods of lighter weather as they move eastward along 40-45N. Typical winds in and near the Gulf of Alaska along and south of these gales at this time of year are SW, and frequently reach gale force (8-9), followed by veering winds from W-NW of similar speeds following the passage of cold fronts associated with gales/storms. It is not uncommon within stronger storms in the heart of the winter to produce force 10-11. Easing of the generally westerly winds will occur as areas of high pressure build into the region, in between the passage of gales and storms. Easing will tend to be brief, lasting no more than 24-30 hours at a time. On the north sides of systems, we will find more NE-E winds, generally confined to the northernmost waters, and often, winds will tend lighter here, speeds generally no more than force 5-6, and highest in areas of localized channeling of winds found between islands off of Mainland Alaska. Wintertime gales and storms often produce exceptionally large seas, especially where there is a large fetch involved, namely in more offshore waters, away from protected channels and passages. Prolonged strong westerly winds can often produce swells near and in excess of 20ft in these areas, with 25-30ft+ possible within strong gales/storms. The highest of these seas tend to propagate eastward into the Alaskan Panhandle, British Columbia and Pacific Northwest coastal areas, with lower seas more likely in the more northern areas of the Alaskan coast, which are less exposed to the large westerly fetch farther south. Even during the periodic episodes from lighter winds (from building high pressure areas), general westerly seas remain “large”, with residual longer-period swells often near if not exceeding 10 feet during these times. Of course, within the inside passage and in protected waters, seas will tend to be far less than those found in more open waters. These seas, while shorter-period and choppier, will also have far less swell associated with them and be purely wind driven. 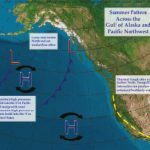 Farther south, along the Pacific Northwest coast, winter season winds are often somewhat lighter than those experienced farther north and more within the gale track itself. Typical winds ahead of cold fronts that move ashore tend to veer from south to southwest, increasing to force 6-8. Again, with the frontal passage the winds tend to veer SW-W-NW remaining in the force 6-8 range, though winds will be higher, often solidly within gale force (force 8-9) when larger, stronger gales/storms and their associated fronts pass. Winds then lower as the transitory high builds eastward and into the coast, winds continue to veer NW-N-NE and ease to force 4-6. While winds may be somewhat lower than what is in the Gulf of Alaska, often the seas are almost as high as those farther north due to the large fetch of water west of the coast (where the predominant wind direction is from). Ahead of the fronts, SW-W swell will often build to 12-15 feet and in stronger events can build to 15-20 feet. Following the frontal passage as winds become more westerly in nature, seas will tend to build higher, as swells become more W-NW and often build to 15-20 feet with 20-25+ feet not uncommon in the strongest events. The W-NW swell will often then slowly lower back to 10-13 feet as the transitory high builds in. 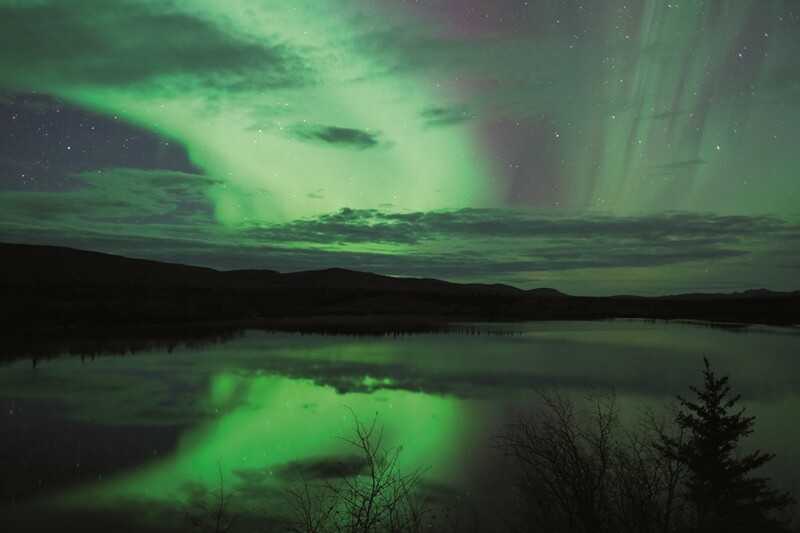 During the springtime, the gales tend to weaken somewhat, and gradually shift northward. By later April and into May, a more typical gale track is along 45N northeastward into the Gulf of Alaska and then onward into Alaska or British Columbia or Washington. By springtime, “cut-off” lows tend to become more common as lows detach from the main gale track to the north and tend to slowly meander in the central/eastern Pacific near or south of 30N. These can become gales in their own right and will then tend to weaken slowly until eventually getting picked back up and accelerated northeastward, rejoining the main gale track. Reflecting the weaker gales, winds and seas both tend to be somewhat lower as we get into later Spring, though still quite high when compared to many other parts of the globe. As we get into the summertime, finally we begin to find conditions that are somewhat more conducive for yacht transit. Gales continue to weaken and become less numerous and slower. They will track east-northeast toward central and northern British Columbia as the semi-permanent eastern Pacific high pressure ridge strengthens and extends farther north across the central/eastern Pacific. Eastward moving fronts associated with the lows/gales normally extend southwestward to approximately 37-38N and tend to move inland across the Washington/Oregon and northern California coast approximately every 4-5 days. Once fronts pass, portions of the eastern Pacific high will often break off from the main center and move eastward into the Washington/Oregon coasts. 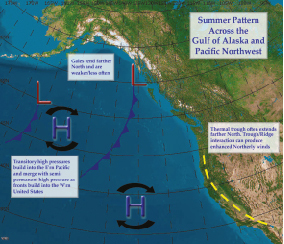 In periods of lighter weather, the thermal trough which during the colder months of the year is found further south along the Mexico and S’rn California coast will sometimes build northward along the northern California and Oregon coasts, on occasion as far north as the Washington coast (See chart). Typical winds and seas are significantly lighter/lower than at other times of year. Within the Alaskan coast, winds are dominated by the persistent, albeit generally weaker area of low pressure often found within the gulf. Along more northern coastal areas, lows and gales typically pass off to the south, and when they do, NE-E winds are common, generally as high as force 5-6 within 150-300 nautical miles of the Alaskan coast and islands just offshore. Farther to the south, winds will again be veering as gale/low systems move through. Along the British Columbia coast SW winds will increase to force 5-7 ahead of fronts with force 8-9 not out of the question within the stronger systems, in particular toward the beginning and end of the summer season. Following the frontal passages the typical veering toward briefly (generally 12-18 hour) enhanced W-NW winds occurs, and is then followed by easing of the winds as the transitory high/ridge builds in. Farther south along the Washington/Oregon coasts, winds will be lighter still at force 4-5 with similar winds following the frontal passage. At this time of year, the position and strength of the thermal trough (low pressure becomes a more important determinant of wind speeds/direction. The trough during the period from mid spring through early autumn in May through October) is often found across coastal and interior California. A southward suppression and a weakening of the trough will occur as cold fronts farther to the north approach and eventually pass. Weakening of the trough will also occur as they drift westward, and as the axis of the trough moves near and just offshore from the California coast. This frequently occurs as high pressure builds north of the trough, into the northwest U.S. Conversely, a strengthening and northward building of the thermal trough will occur in between the passage of cold fronts. If the thermal trough remains just inland with a ridge (high pressure) offshore, the interaction of the two features can produce enhanced N-NW’ly winds, which can run as high as force 6-7, with even stronger winds possible abeam capes (Such as Capes Blanco and Mendocino) due to more localized funneling. When the trough is weak/broad and right along or offshore, winds are lighter, often NE-E 3-5 and sometime light and variable. These winds are enhanced somewhat during the overnight hours as cooler “katabatic” NE-E winds originating from the higher elevations within interior mountainous terrain flow westward toward the coast, winds generally do not exceed force 4-5 during such instances. Seas are significantly lower but can still be formidable pending the strength/track of gales farther north and west and the associated fairly long period nw-w’ly swells that will then propagate e’ward to the coast of British Columbia to Oregon. Generally, w’ly swell of 8-10ft are common along the BC coast with 7-9ft for the Washington and Oregon coasts. Additionally, during instances of surging N-NW’ly winds as the thermal trough and ridging interact N-NW’ly seas along the S’rn Oregon to N’rn California coast can build to 12-15ft. Dominant current directions along the Pacific Northwest coast are from northwest to southeast, with more southwest to northeast currents found farther north, off the coast of British Columbia. Currents in both regions tend to average anywhere from 0.4-0.6 knots over the course of the year, and somewhat faster during the warmer months (summer). Farther north, across the northern Gulf of Alaska and near Mainland Alaska, most dominant current directions are east to west and tend to be relatively weak, generally no more than 0.4-0.5 knots over the course of the year. As far as routing recommendations go, it is rare that a yacht would even try to venture north of Victoria Island during the winter months in this area as conditions are rough, and travel would be discouraged for all but the most durable of vessels. It is far better to time departure from the Pacific Northwest in the summertime (later May at the earliest, pending vessel constraints). 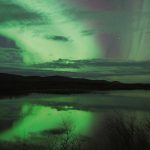 From Alaska, a particular vessel could look at one of two options: Routing from Alaska directly to Hawaii and then onward from there to Oceania (Fiji etc) and then onward to Australia/New Zealand. This routing requires an extended fuel range and higher “weather limits” to deal with any stronger lows/gales that may be encountered in the Northern Pacific. Given the proximity of more northern latitudes to the main gale track, the threat of encountering adverse weather from lows and gales should always be considered if one takes this routing option. However, the advantage of this route is shaving a large amount of distance off of the other option, which involves more coastal routing along West’rn North America to make distance southward. This option would involve “hopping” southward along the western coast of Canada/US and this would be more geared toward vessels with lower constraints and/or a shorter fuel range. Timing would be key to avoiding any larger swell associated with gales in the Gulf of Alaska, and then farther south watching for a ease in the thermal trough and the high farther west, ideally with the thermal trough spreading and shifting offshore to allow for an easing of the winds. Note, however, that the weather patterns of mid/late spring, summer, and autumn, are less progressive than during the winter season, so while weather features are weaker, adverse weather can still be persistent, even during summer. The enhanced NW-N winds associated with the interaction of the thermal trough to the east and high pressure farther west can occur for as long as 3-5 days at a time. At the same time, breaks in the weather and favorable travel windows (when the thermal trough is weaker) can be rather prolonged as well. Once reaching the South’rn California or North’rn Baja coast and more to within fuel range, a vessel could then turn w-sw’ward toward Hawaii and at that point have the trade winds be at a more favorable direction becoming more beam to following.